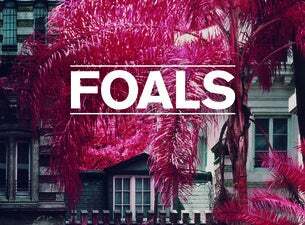 Foals are a British-based indie rock band. Originally formed by Jack Bevan and Yannis Philippakis, the band's trajectory has been remarkable. They’ve earned critical acclaim (NME and Q Award wins, plus Mercury Prize, Ivor Novello and BRIT Award nominations) and fan devotion (1.7 million sales of their four Gold-certified albums, plus over half a billion streams at Spotify since 2015) in equal measure. And while the majority of contemporaries have fallen by the wayside, Foals continue to hit new peaks. Seen as one of the best live acts in the UK, Foals have once again embraced that love for the unconventional with the bravest and most ambitious project of their career: not one, but two astonishing new albums: Everything Not Saved Will Be Lost. A pair of releases, separate but related, they share a title, themes and artwork. Part 1 will be released on 8 March with Part 2 following in the autumn. A string of new dates to support the new releases kick off in June.